The fishing in Perdido Key is as good as ever. 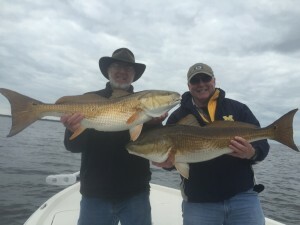 This inshore charter with Steve and his friends was filled with Trout and big Bull Redfish. Offshore fishing has been exceptional as well with limits of Trigger fish and loads of Snapper. Spring break is just around the corner so call now to book a trip and make a memory.